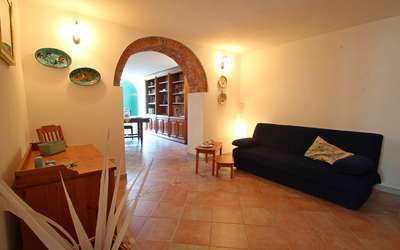 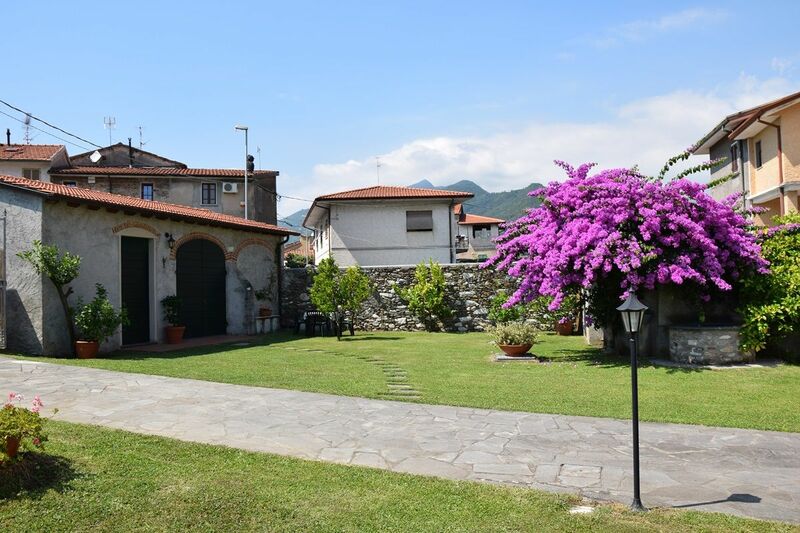 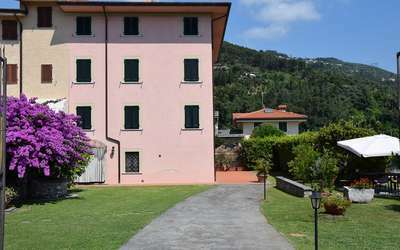 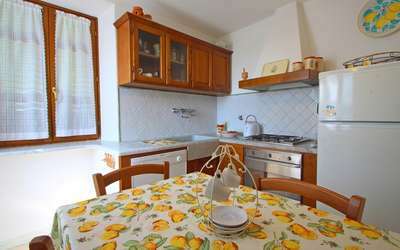 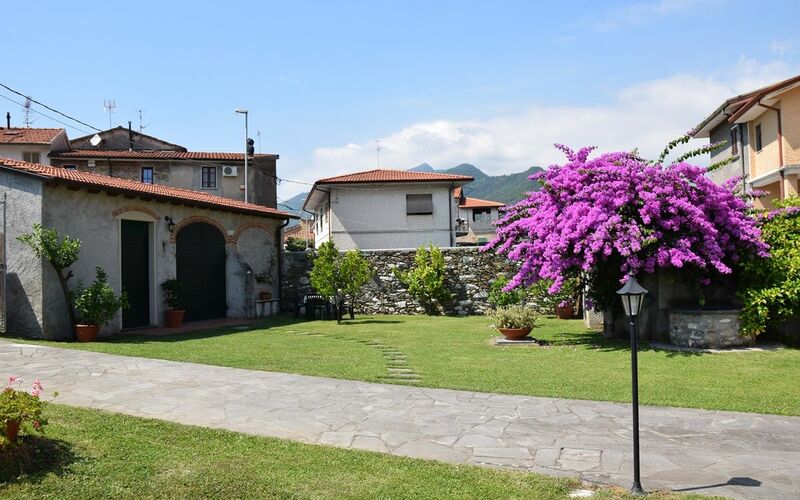 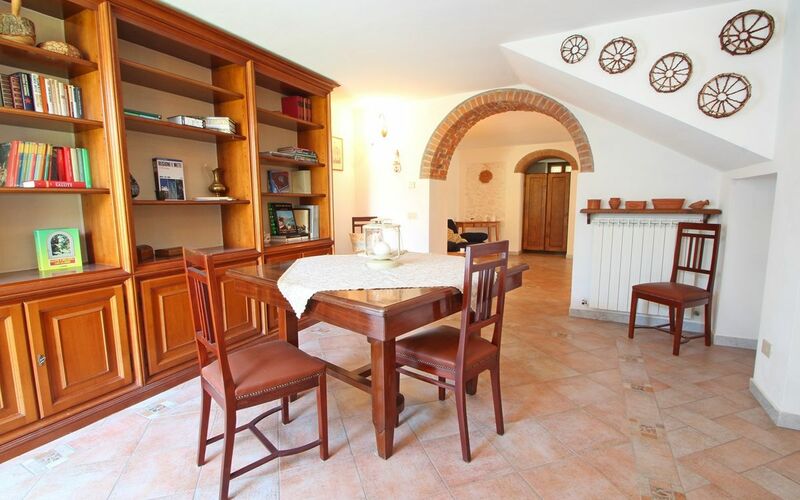 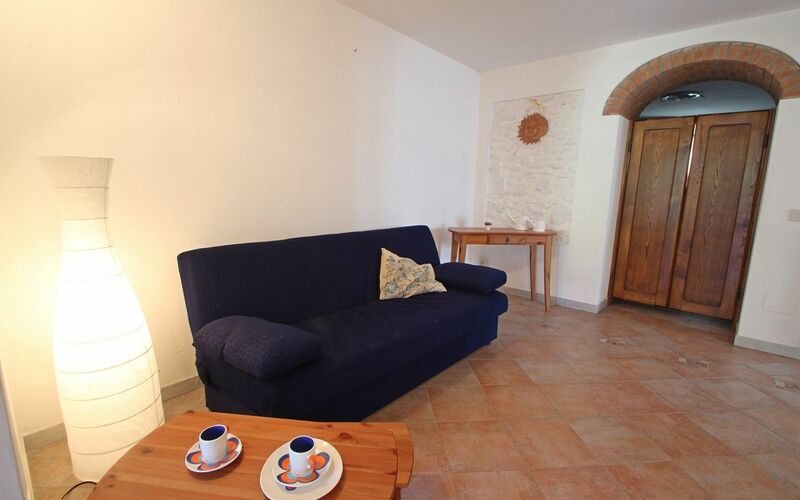 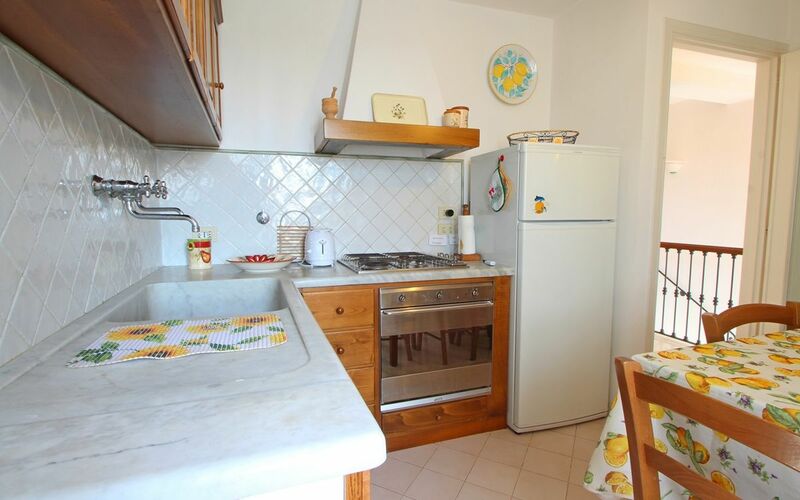 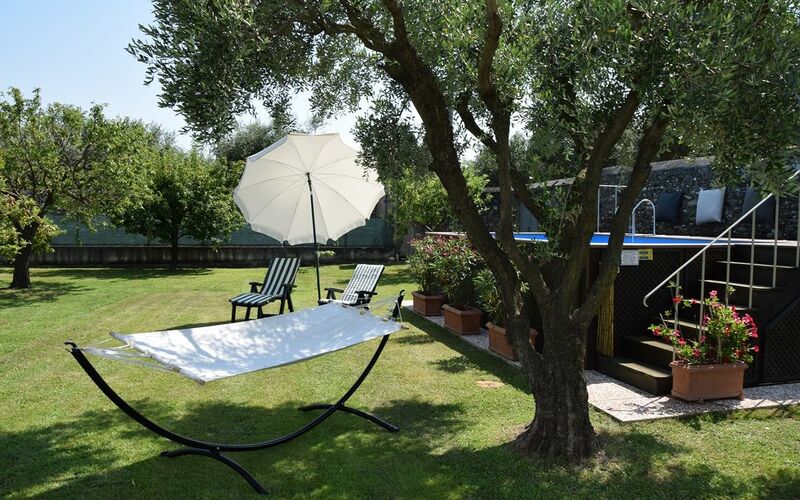 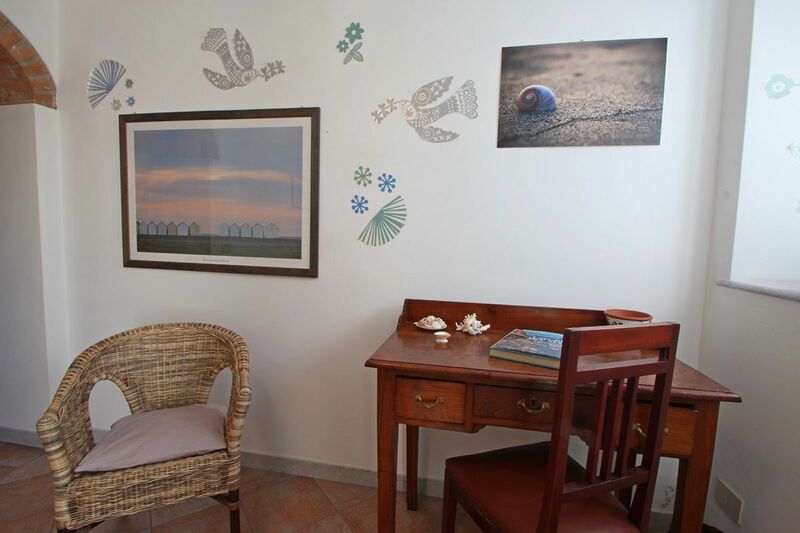 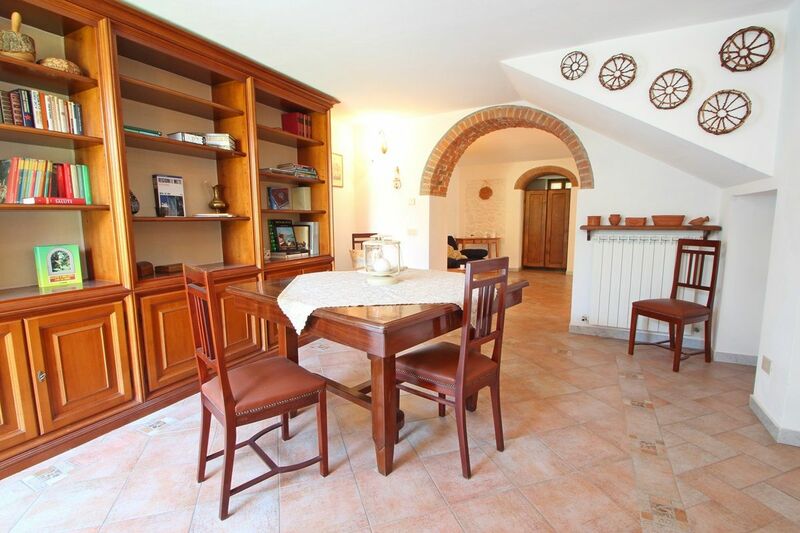 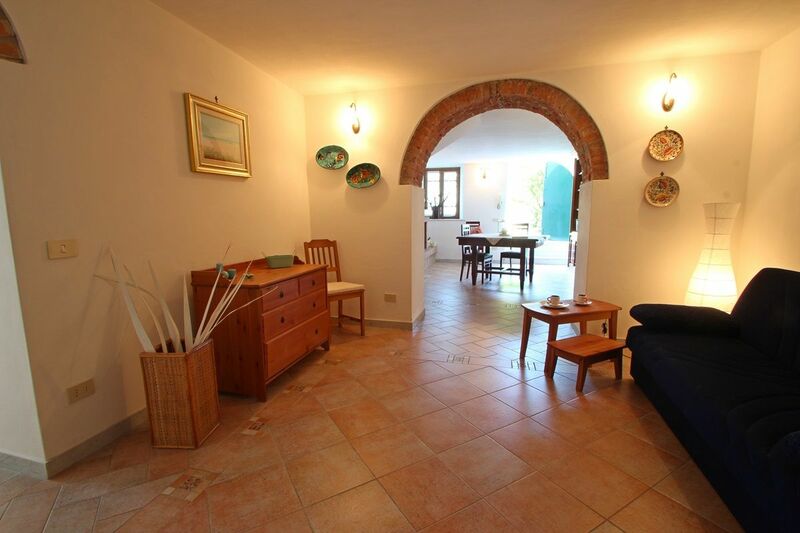 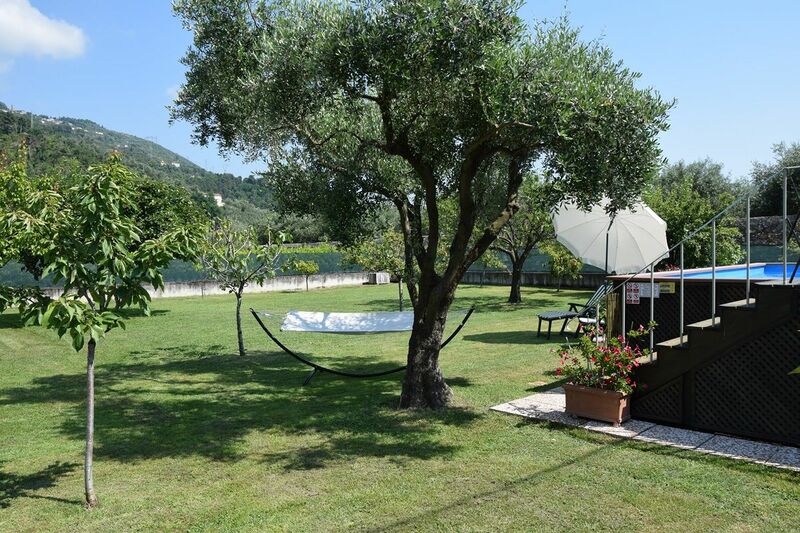 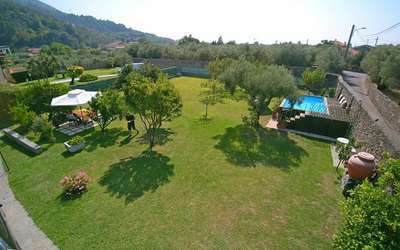 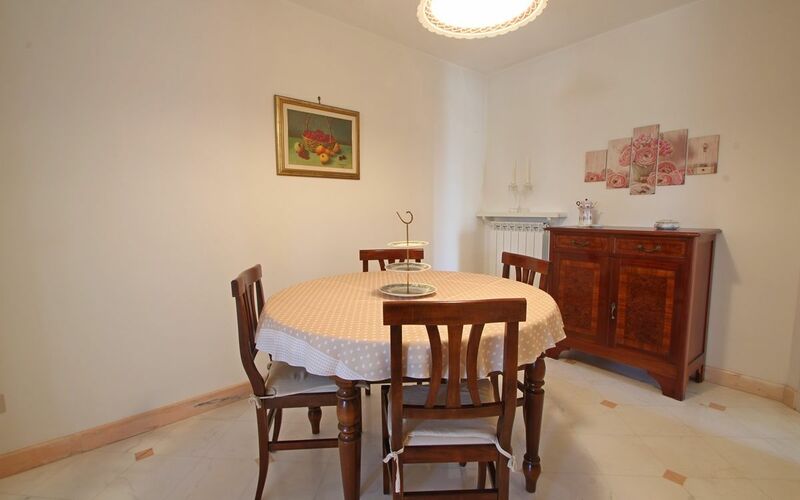 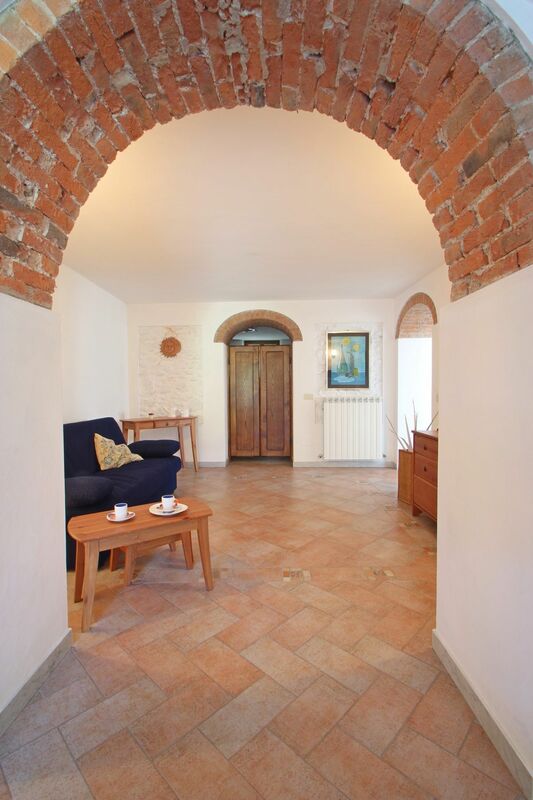 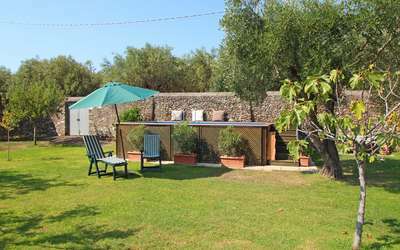 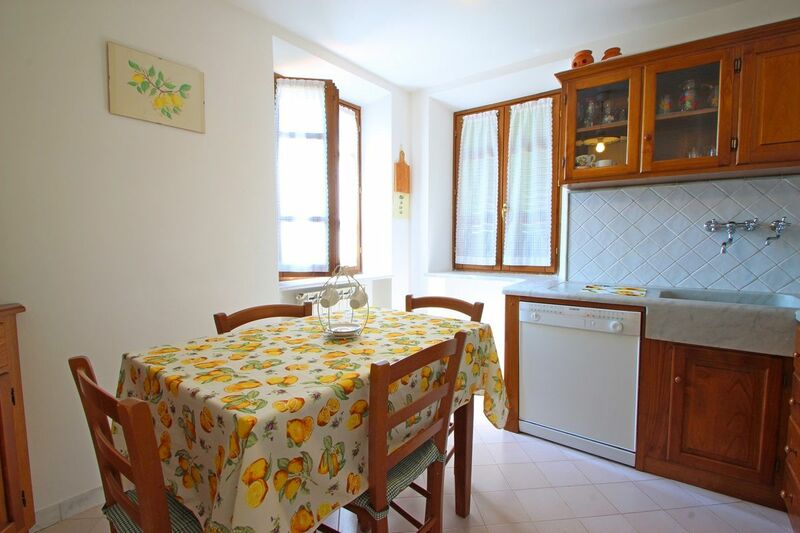 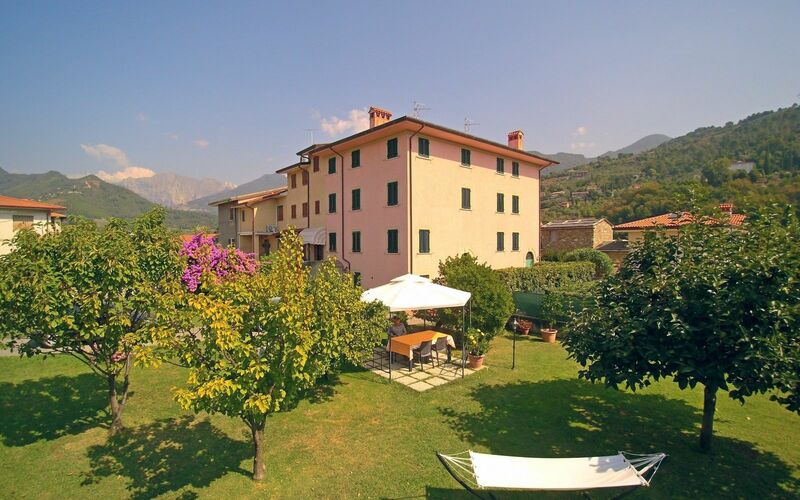 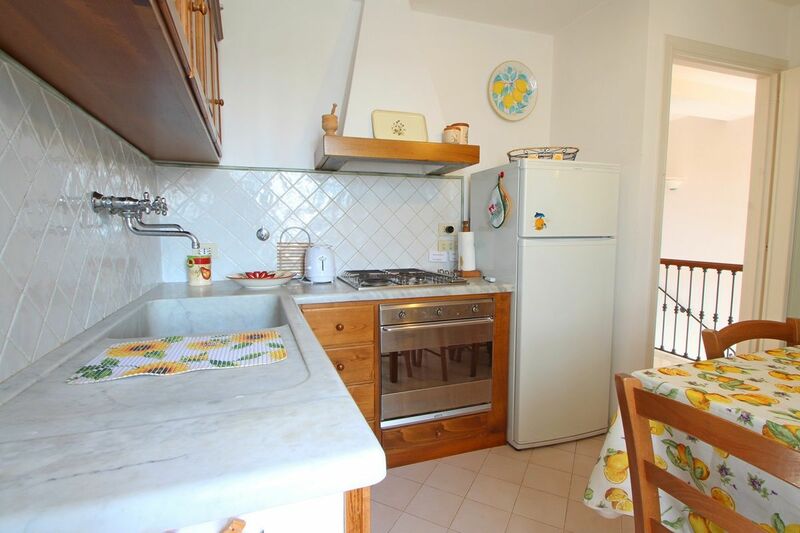 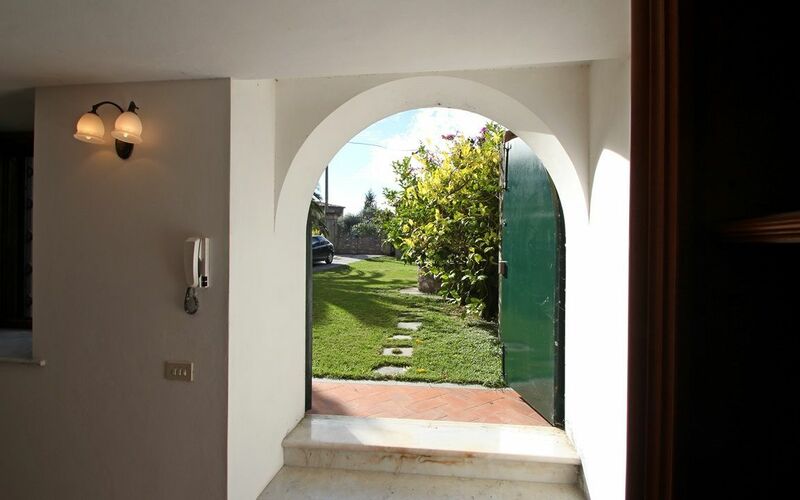 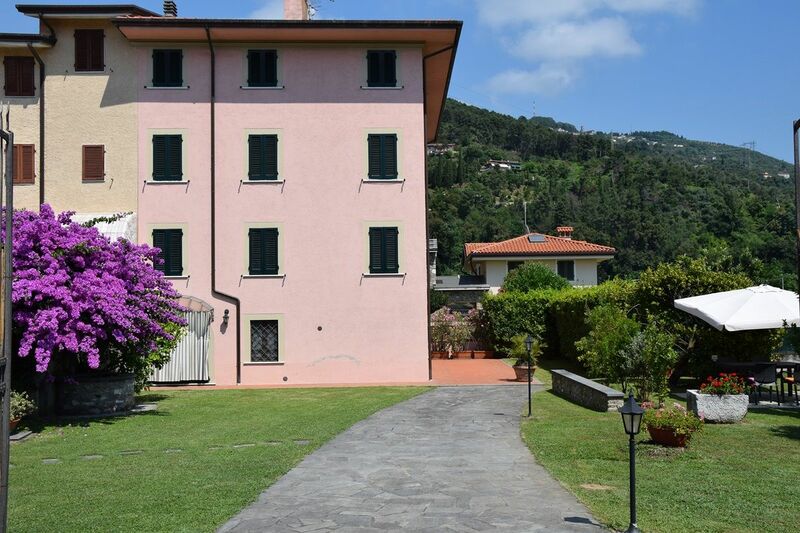 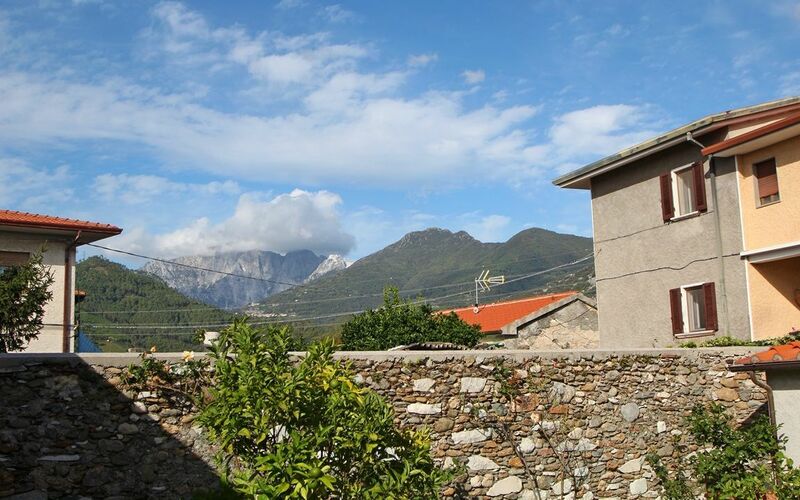 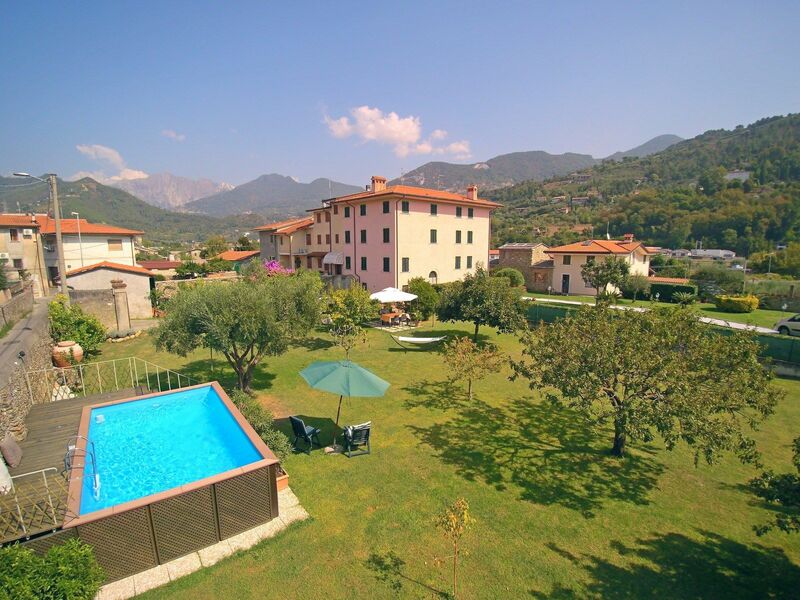 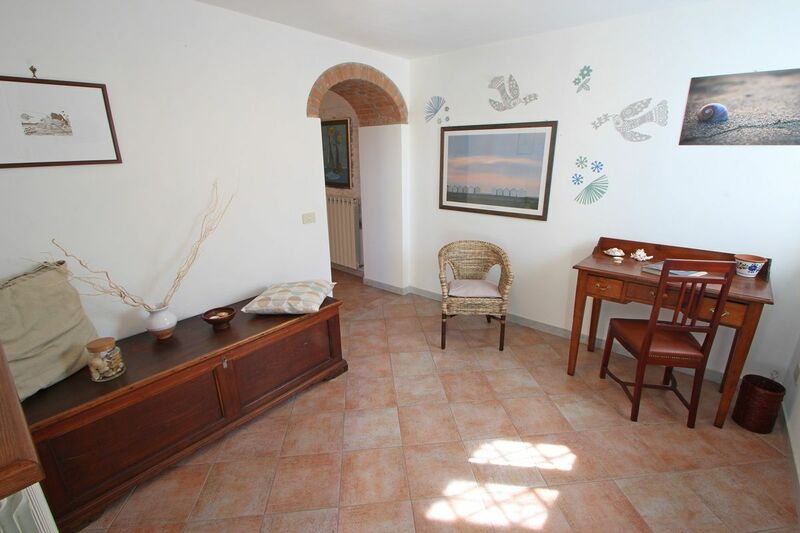 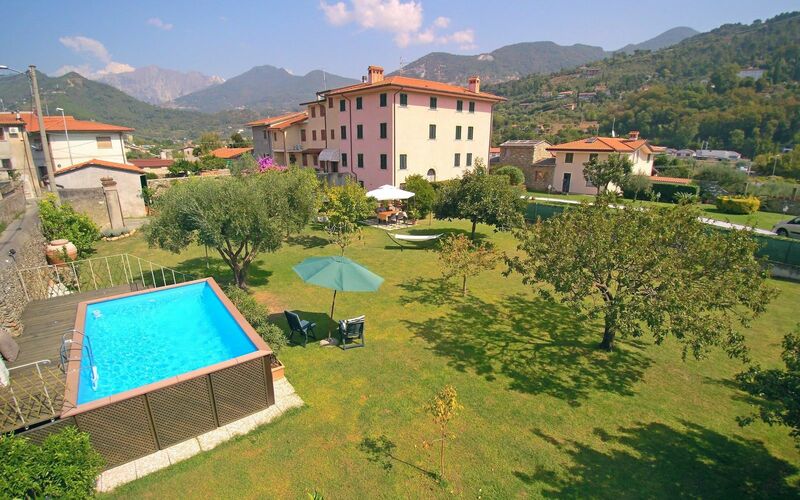 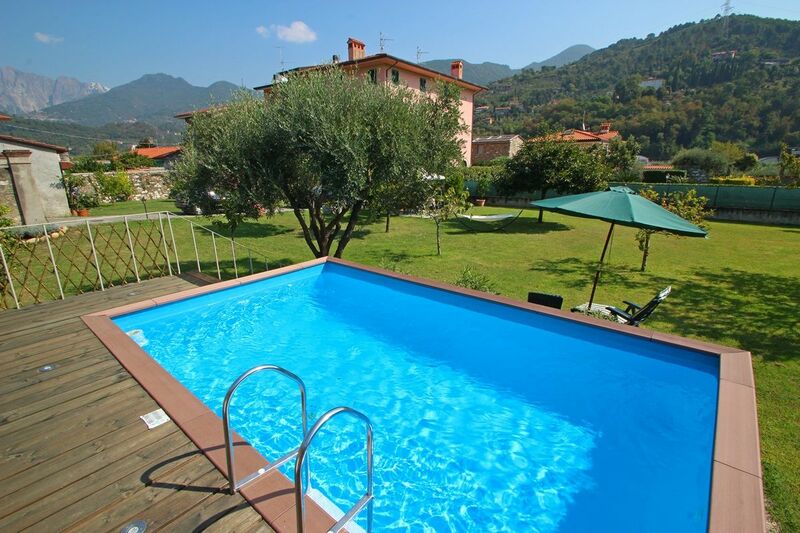 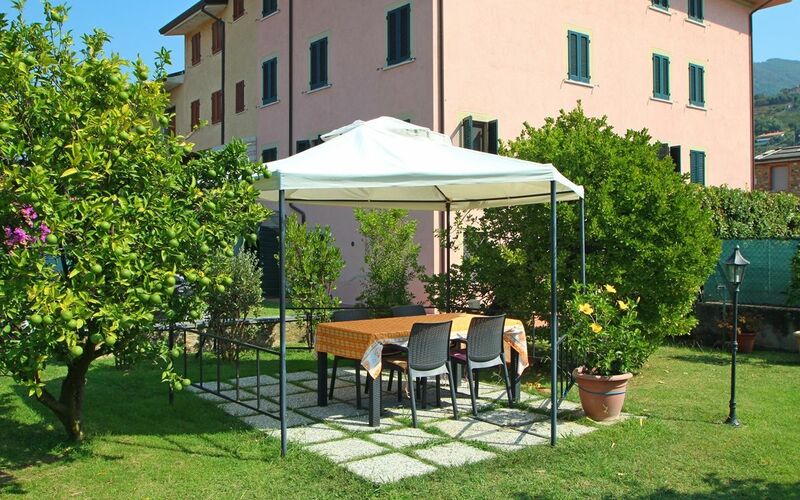 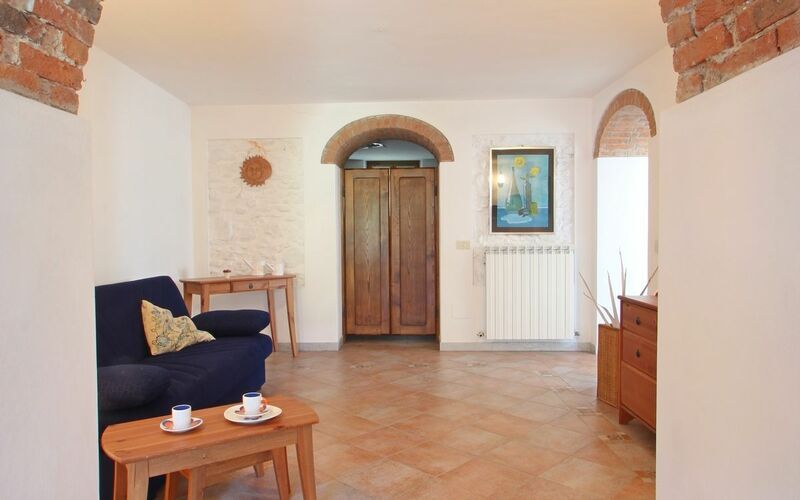 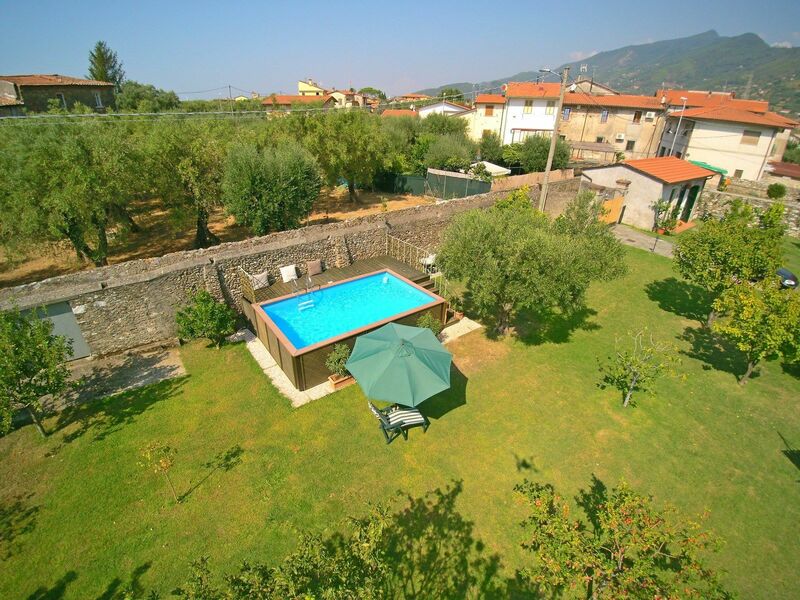 Between the sea and the mountains, in the outskirts of Querceta (Seravezza) and a few minutes from the Centre of Pietrasanta and Forte dei Marmi is this wonderful holiday home for 6 People. 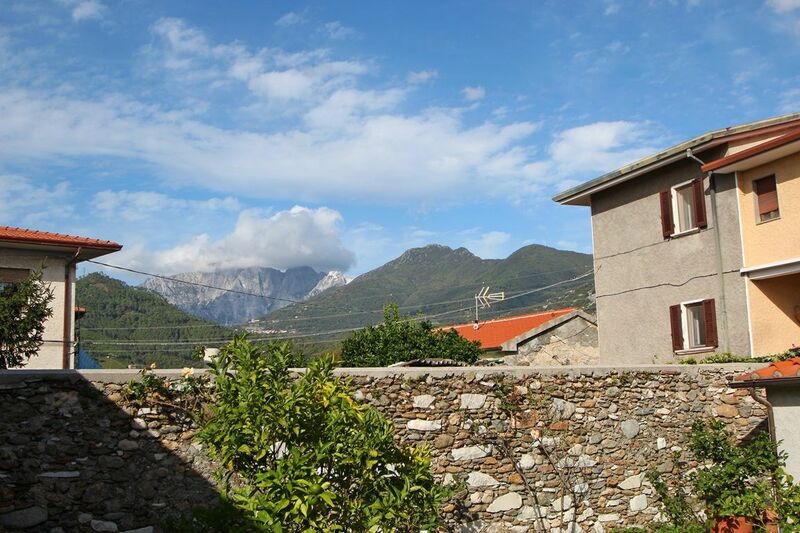 The wonderful view of the mountains and the huge garden ensure relaxing days. 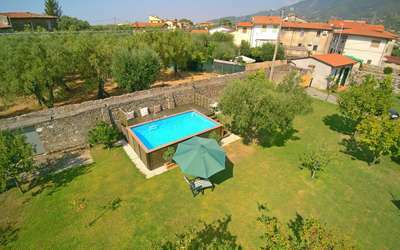 Ideal for those who want to spend a seaside holiday (Sea at 5,5Km), visit cities of art or stroll in the green of the Apuan Alps. 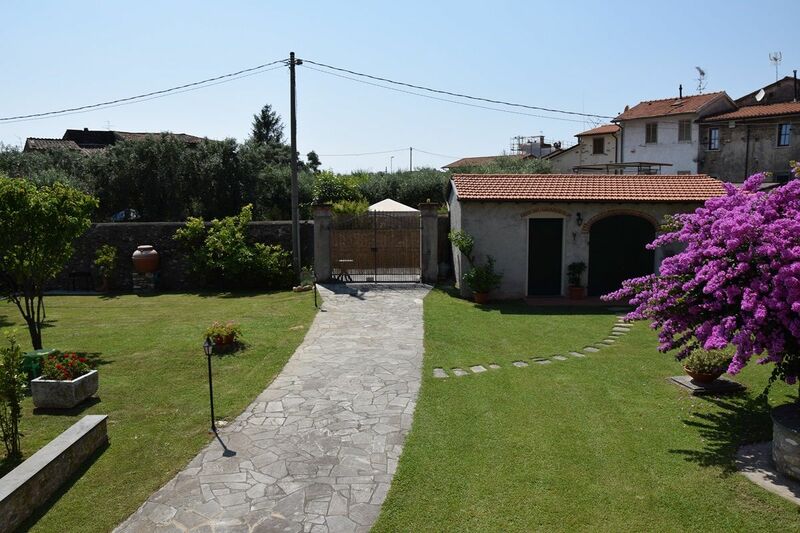 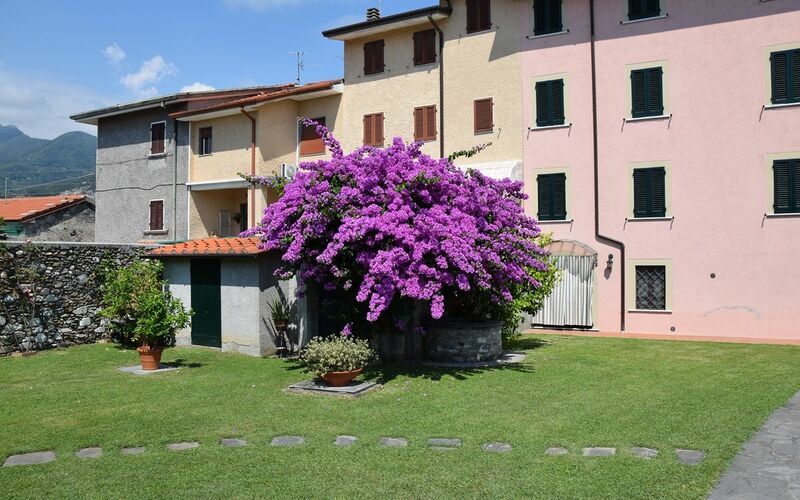 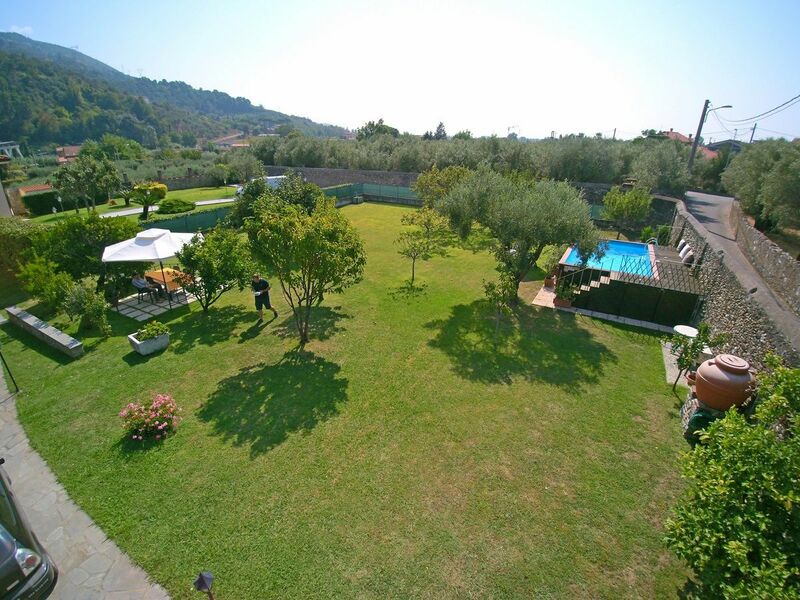 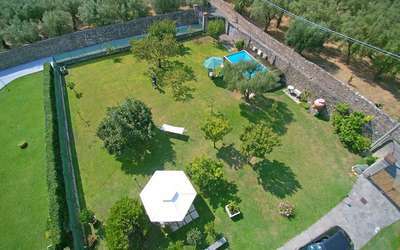 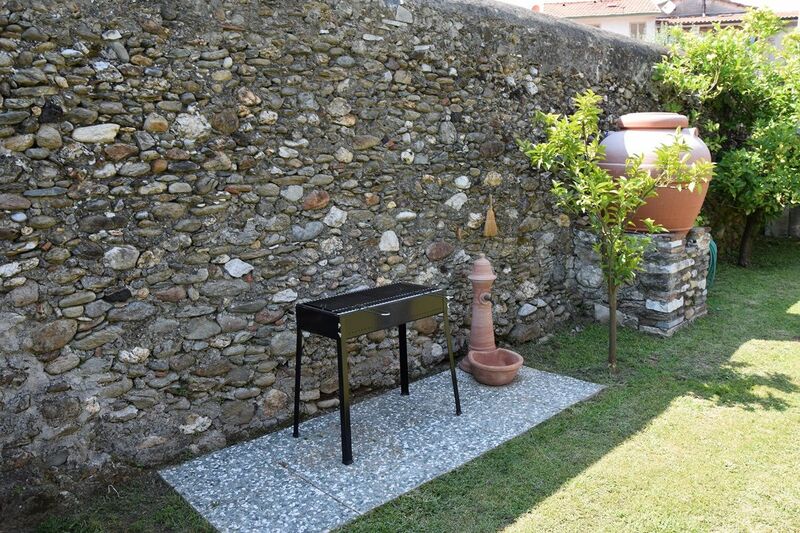 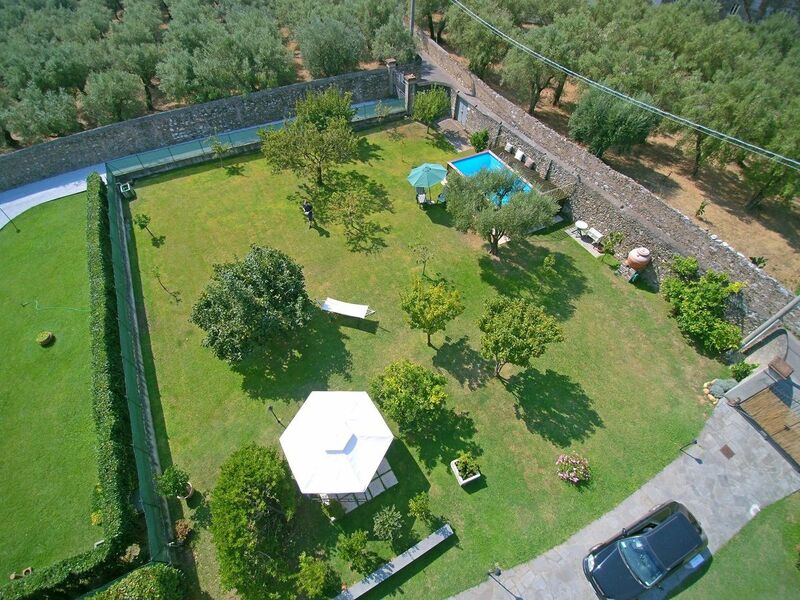 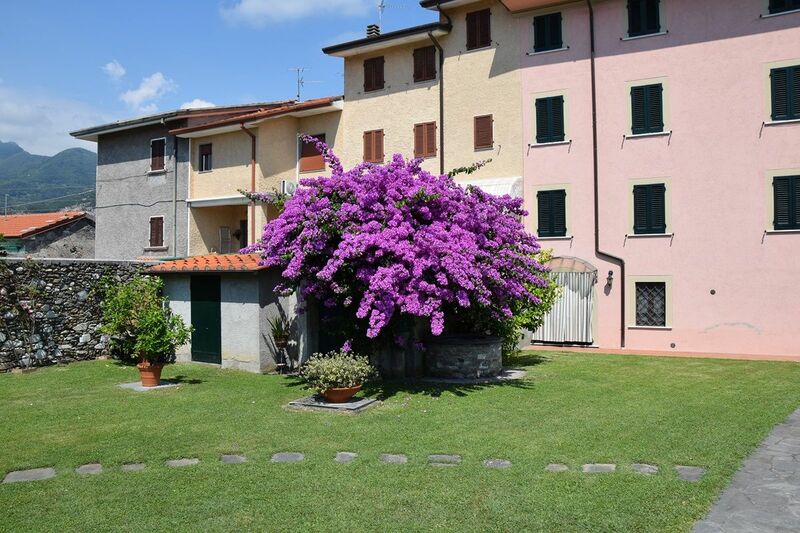 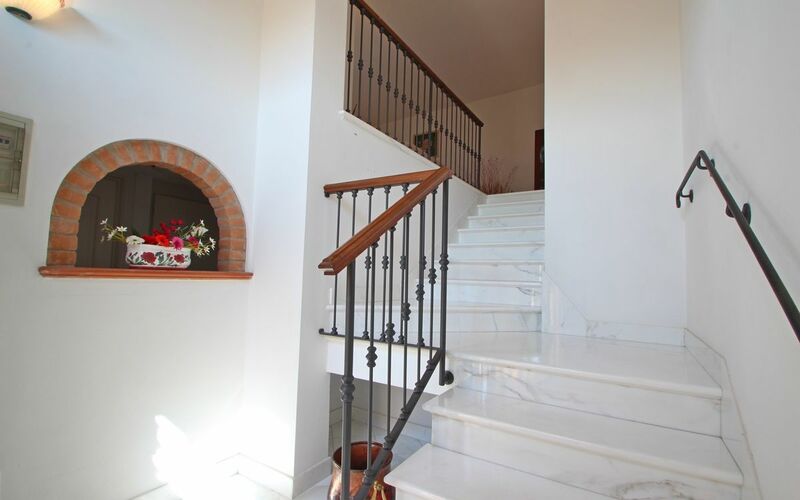 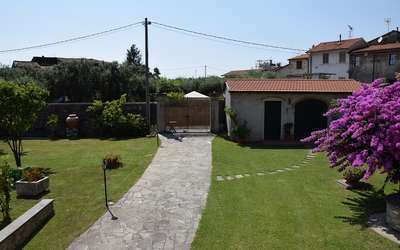 The garden, more than 800sqm, is completely independent, with private pool and is fenced. 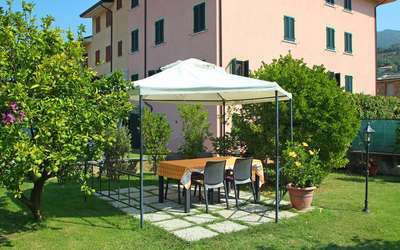 It offers fruit trees like lemons and figs that give shade on warm days. 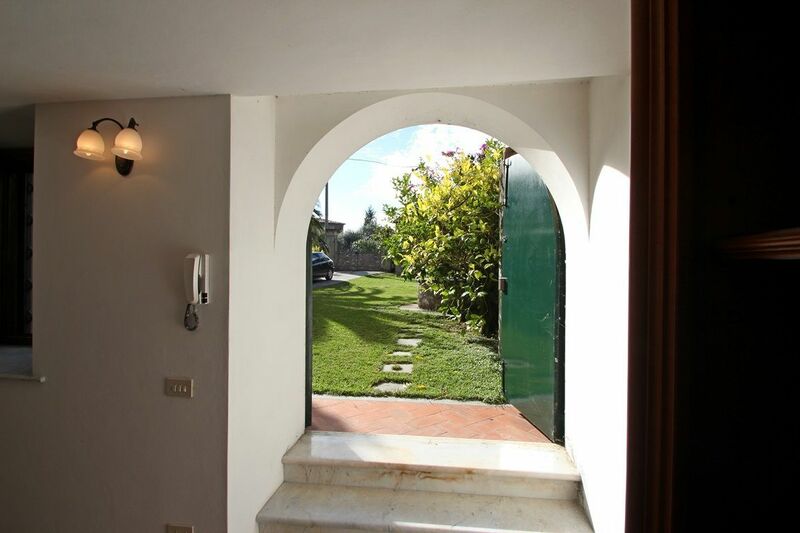 A beautiful well is also on the outside. 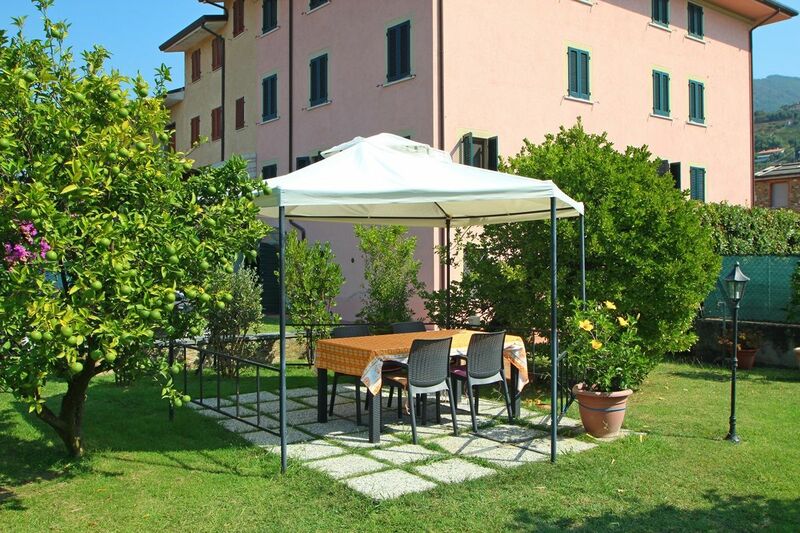 The exterior of holiday home Bougainville also offers a beautiful gazebo where you can enjoy your evening meal cooked with the provided BBQ. 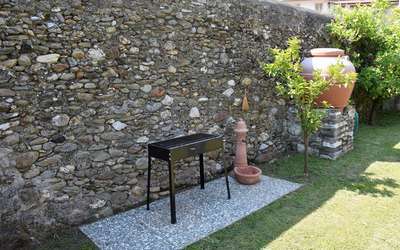 The entrance gate is automatic with remote control. The private pool, is a beautiful pool positioned in a point of the garden which offers absolute privacy and where you can spend wonderful days. 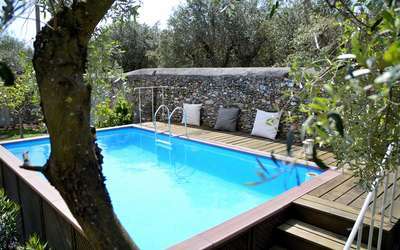 The pool measures 3 x 5 meters and is 1.2 meters deep. The House is divided on two floors. 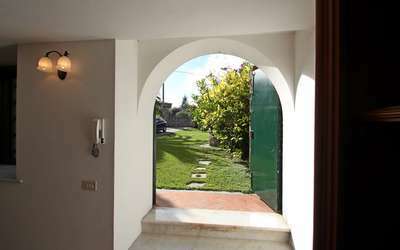 The main entrance connects them both. Climbing the stairs you notice the beautiful and white marble floor. 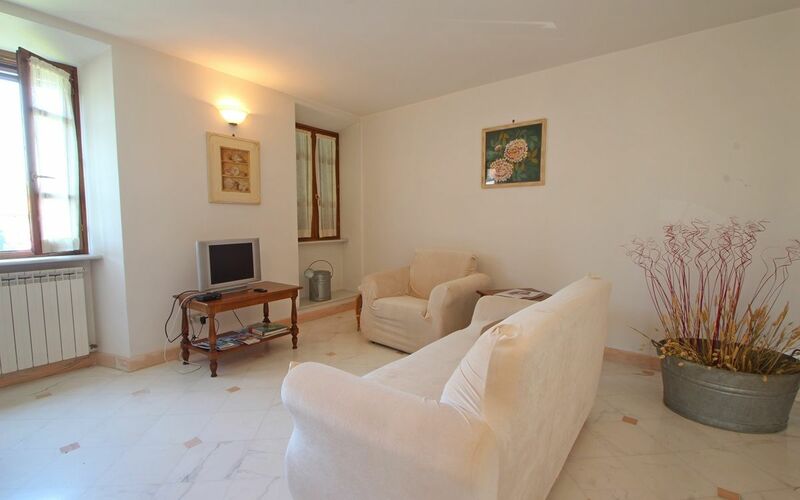 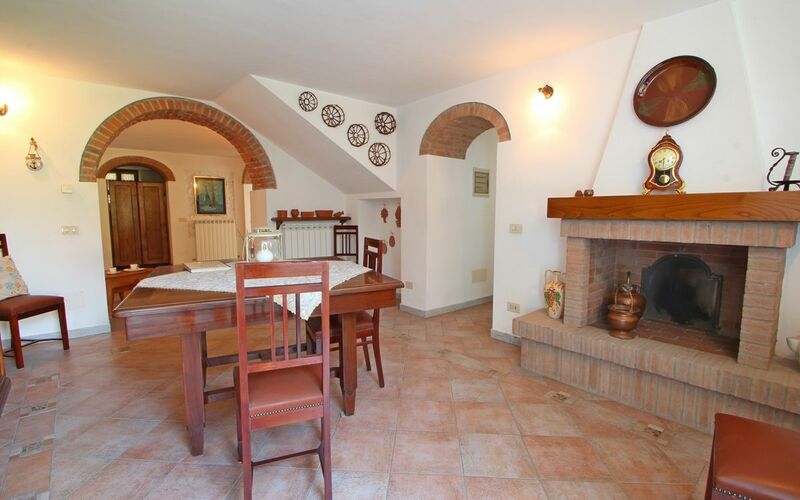 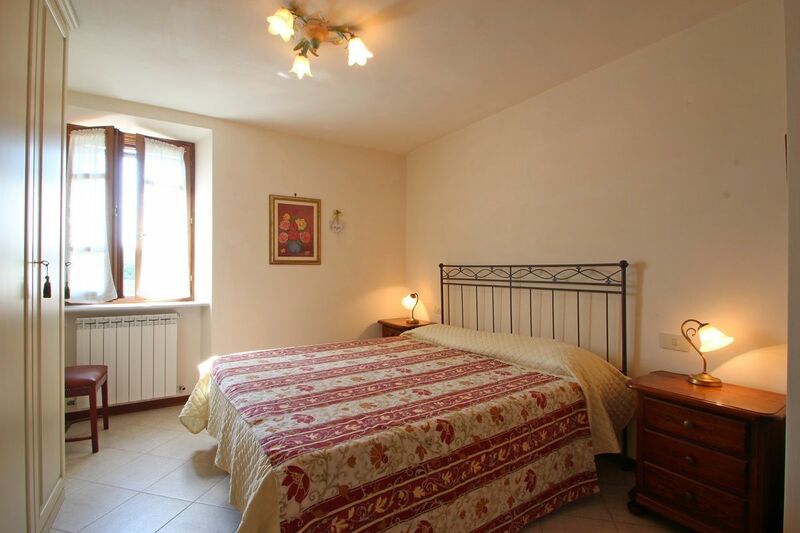 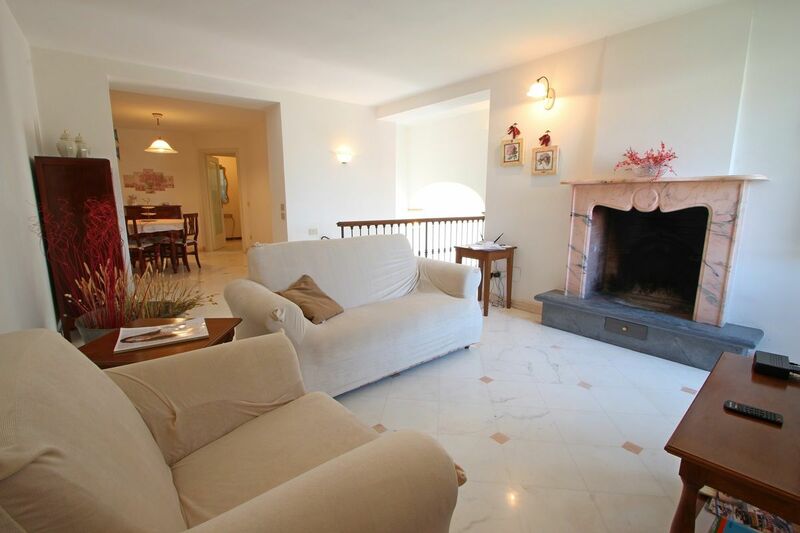 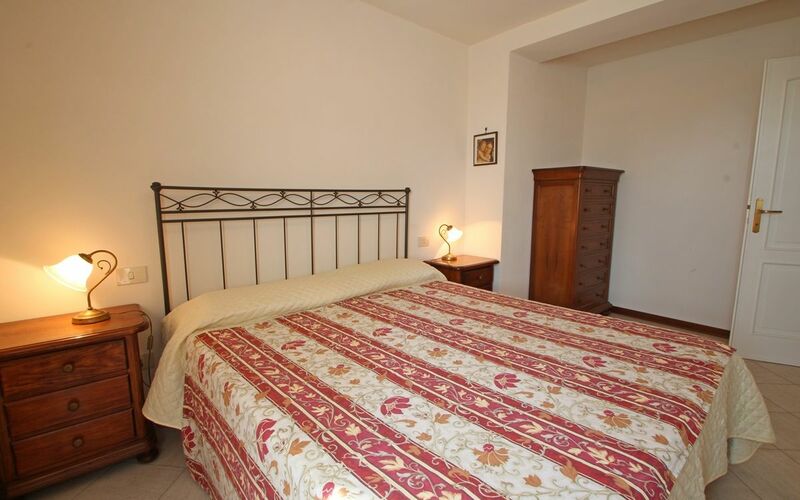 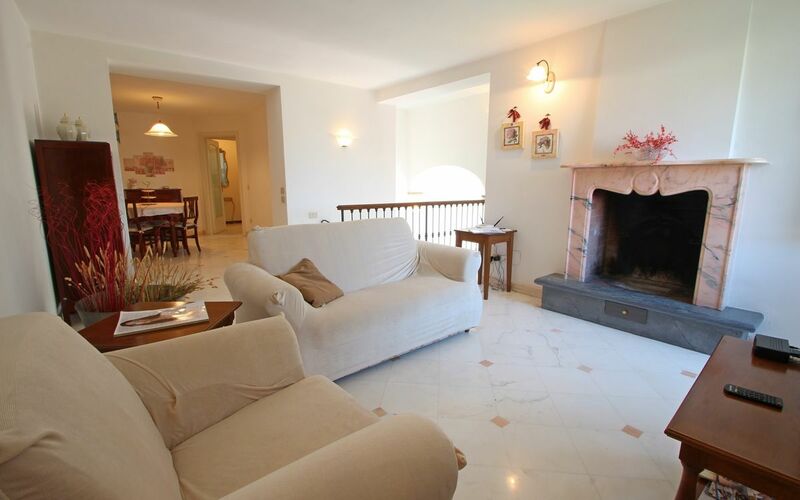 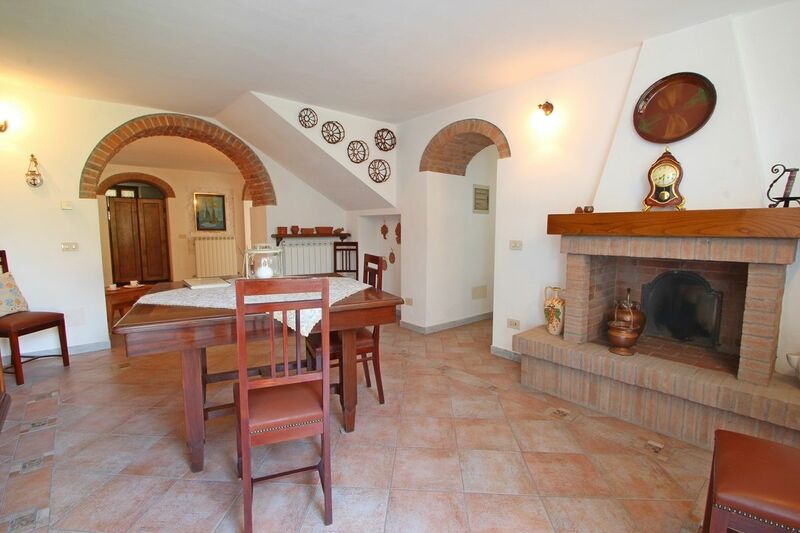 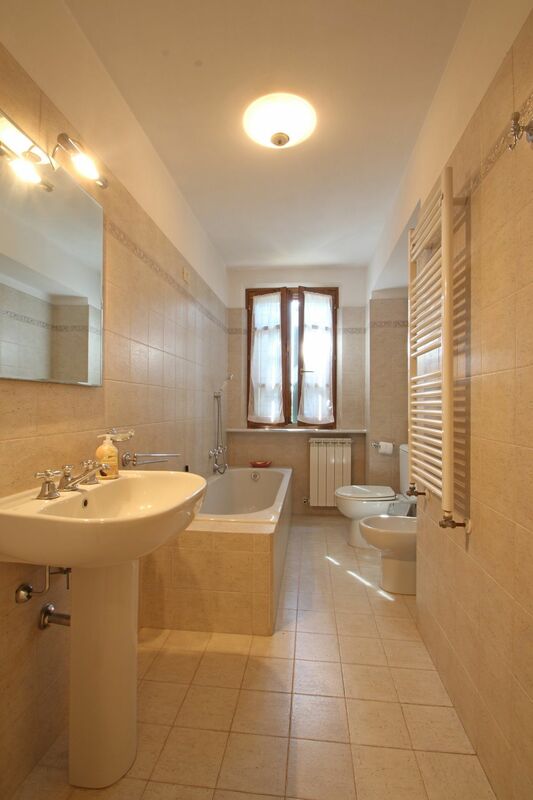 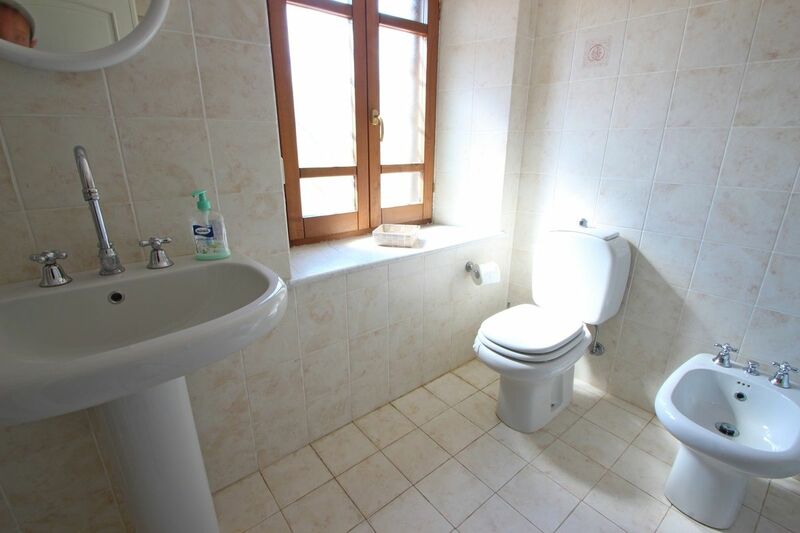 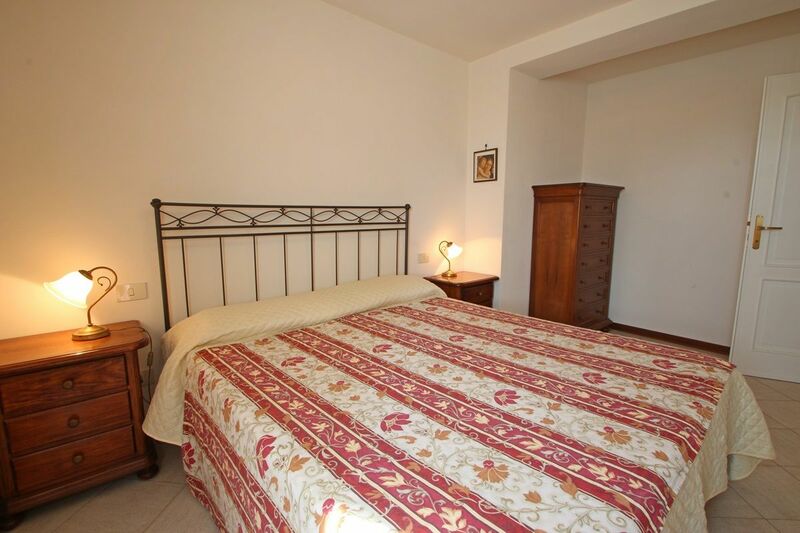 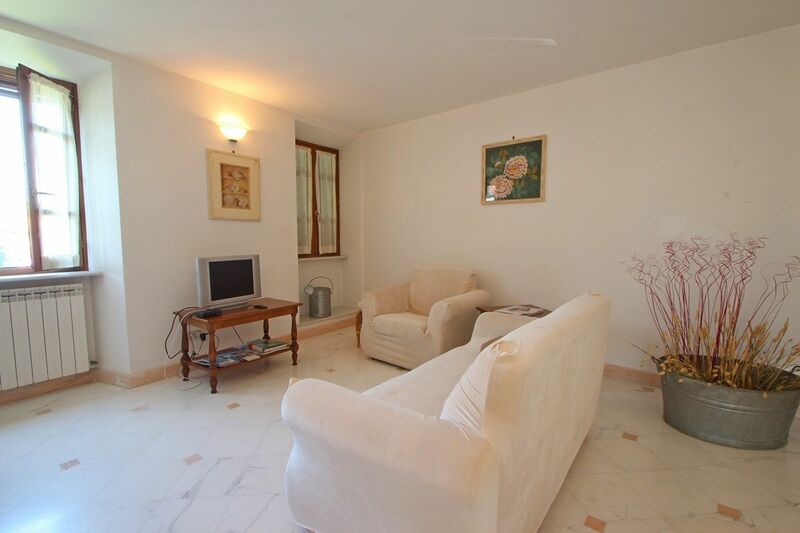 First floor: you enter a large living room with sofa, TV (italian TV) and fireplace. 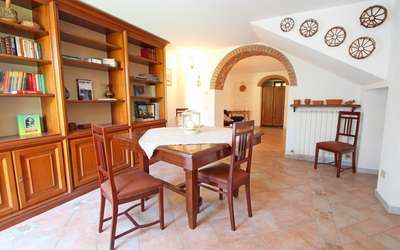 To the side there is the dining area. Kitchen with table, fridge, oven, 4 burner hob, dishwasher and toaster. 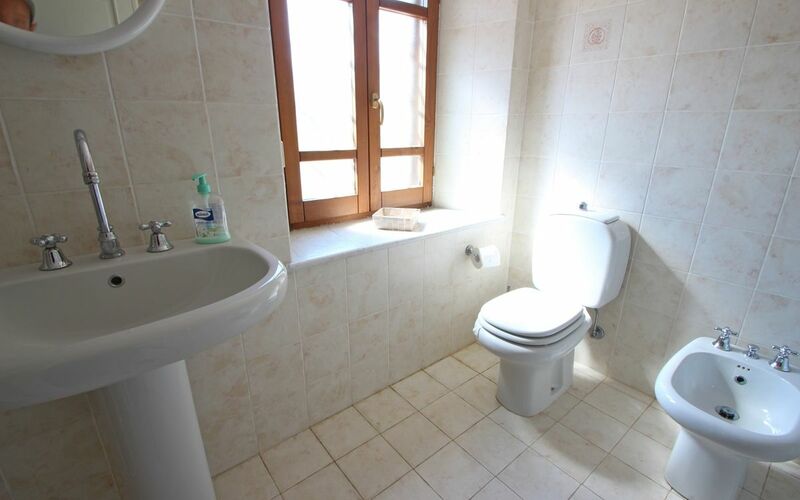 Then there are: a large double room, a room with two single beds, large bathroom with a bathtub. Ground floor: This plan is an open space with fireplace, dining room, laundry area with washing machine and a bathroom with shower. On this floor are 2 sofa beds for 2 people. 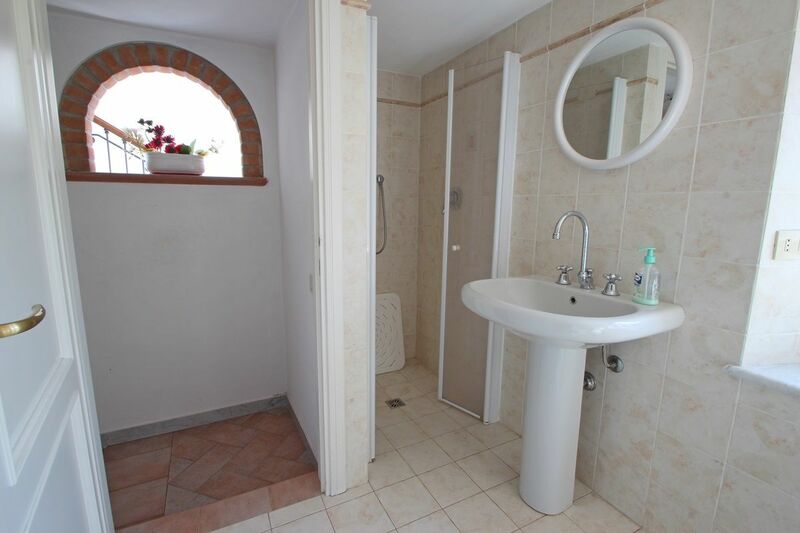 This floor also has a private entrance. 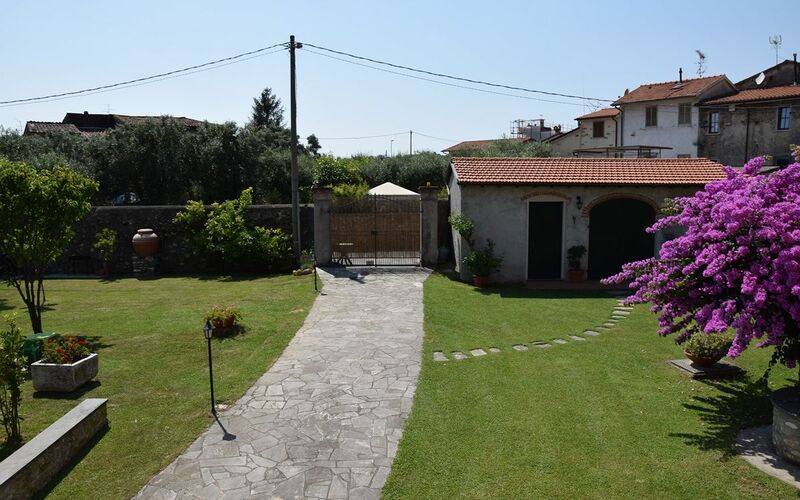 Dogs are accepted: to note the presence of other dogs in surrounding houses. 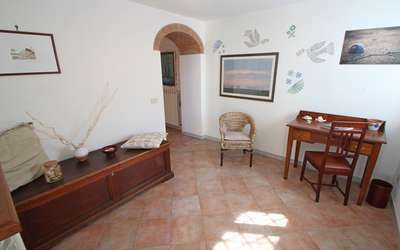 thanks for the warm welcome in your lovely privately located house in the small village. 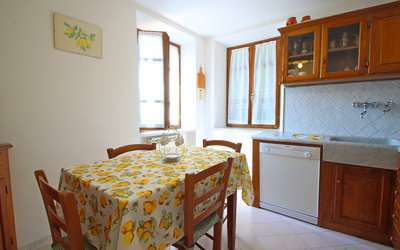 Nicely situated in ~15 min drive from beautiful beaches. Nice places in the area are Viareggio, Forte dei Marmi.